The healthcare industry and its technology and regulations evolve quickly. B&B Electric has a team of electricians who keep up to date on evolving systems to ensure safety, infection control, and reliability to hospitals. We offer reliability of your hospital's electric when lives are at stake. B&B Electric has a team of certified healthcare electrical contractors, who will design and install electrical systems unique to your healthcare facility. We provide environmental containment units for renovations if appropriate to help safeguard patients and assist in the coordination of infection control. The healthcare industry is highly regulated, so we work closely with the authorities having jurisdiction, including state and local officials, fire inspectors, fire marshall, facility manager, infection control coordinator, and head nurses. B&B Electric will complete an infection control assessment to ensure your healthcare facility is ready for patients after our work is complete. B&B provides services required for many technology advances: CT scan, MRI, PET scan, renal dialysis, nuclear medicine, radiation oncology, stereotactic surgery and robotic surgery. 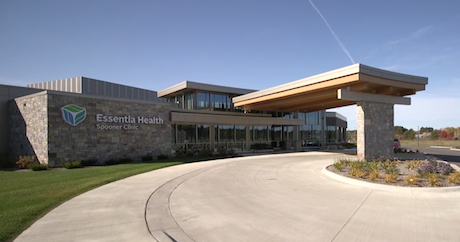 Essentia Health in Spooner, WI found the need to expand their hospital with clinic services. Balancing the special nuances of building onto an operating hospital with a very fast timeline was important to the Construction Manager in charge of the project. 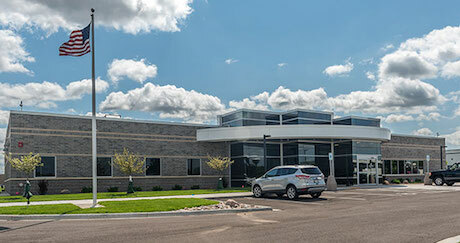 Family Health Center – Menomonie Dental Center recognized the need for a new dental office, and contracted B&B Electric to handle the electrical engineering portion of the project. See our recent healthcare projects to experience our promises in practice.